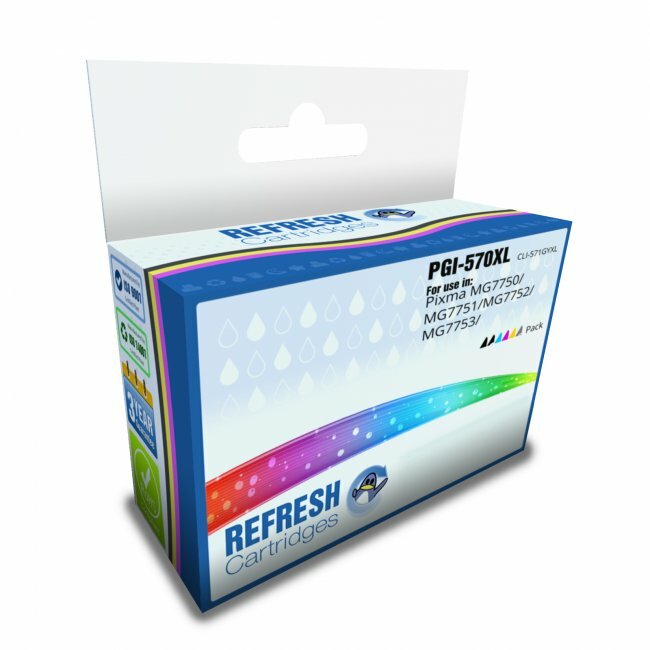 This valuepack of compatible Canon PGI-570 and CLI-571 ink cartridges offers you a saving over purchasing these ink cartridges individually. 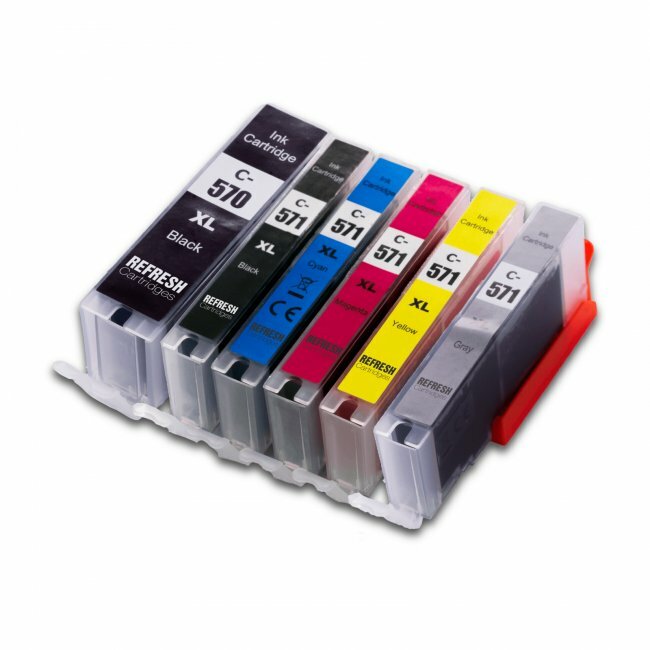 Each of these compatible PGI-570/CLI-571 ink cartridges have been manufactured from scratch to offer a genuine alternative to the Canon original. Our manufacturers have worked tirelessly to produce compatible PGI-570/CLI-571 ink cartridges that allows the ink to flow freely from the cartridge into the printer, but not infringe upon the Canon patents. 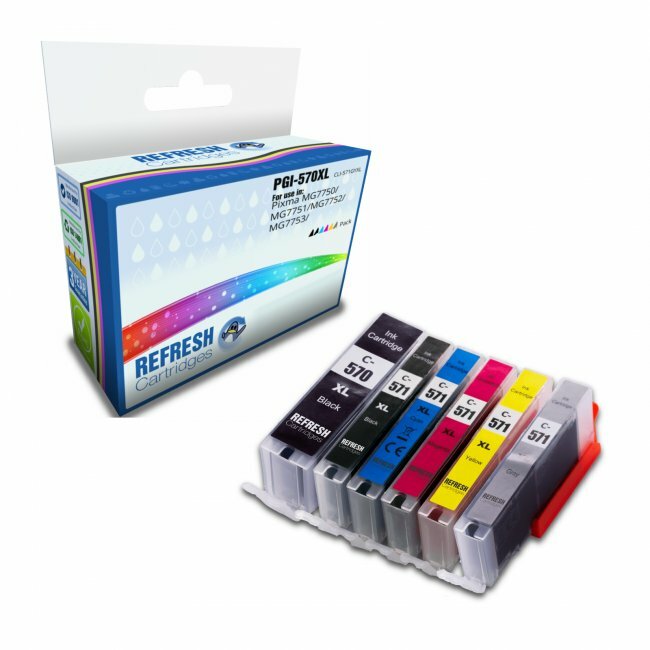 These compatible Canon PGI-570/CLI-571 ink cartridges contain high quality dye based ink that offer rich colours and a print quality comparable to the original ink. Whilst it may now offer the same UV protection it retain the same impressive page yield at a bargain price. Accepted AnswerI can confirm that all cartridges in this set are XL capacity. Accepted AnswerYes, we are always happy to do this. Excellent, there are cheaper ones on the market but prefer to stick to who I can really trust. Value packs are a really good way to buy compatibles. Cartridges bought as like for like replacement for current cartridges which are nearly finished. Colour quality very good and no problems as yet with cartridges. Hence new order! Not in use yet as I always tend to order in advance to prevent running out, but appear same as previously-satisfactory ones. The quality of print looks just as good as the Canon cartridges and the cost is substantially less. A very good buy. A very good company to do business with and always polite, helpful and efficient. Works great no trouble at all will buy again.